We offer forklift training & certification the same day! forklift training and plant training. If your job requires you to drive a forklift truck or plant you need to make sure that you have the correct forklift training and certification to do so. Make sure you are compliant with current regulations with J & D Training Ltd and book your forklift training course with us. 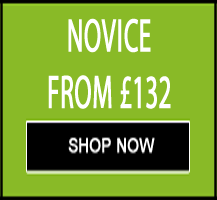 As a leading provider of high quality forklift truck training, plant training, first aid training and manual handling to a number of diverse industries in Walsall, Sandwell, Dudley, Oldbury, West Bromwich, Stourbridge, Coventry, Telford, Shrewsbury, West Midlands, and most of the UK, we are flexible to the needs of your business and can deliver training at our dedicated training centre in Lye or at your premises. If, like us, you believe that quality training is key to a successful future and safe working environment for both employer and employee, make the smart choice and contact us today. Our mission is to provide a high quality service that is adapted to the individual’s needs and delivered by our dedicated forklift truck and plant instructors that exceed industry standards. We are committed to making a positive difference that will be rewarding and meets our customer’s needs at competitive prices. 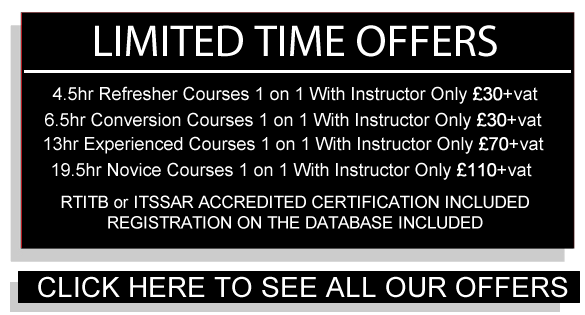 Courses at our forklift truck training centres At our fully equipped RTITB & ITSSAR approved training centres we can provide courses on either forklift Counterbalance or Reach trucks. Courses at our centres are a flexible alternative to on-site training and are available all year round including Saturdays, Sundays and bank holidays and are available to business or private customers. Forklift truck training and plant training on customers premises Many employers choose on-site forklift truck training and plant training. Using this approach staff are trained on the equipment they will actually be using and with the loads they will handle. Up to three trainees of similar ability may be trained at the same time. 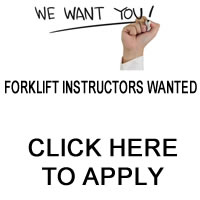 For this, our instructor will require a fully working forklift truck and a supply of stackable loads and empty pallets. All our training complies with the standards set by the HSE under the L117. Dylan Great instructor. Well taught course. Professional. Highly enjoyable. Would reconmened. Completed a refresher course today with Marcus absolutely spot on service can't recommend highly enough having been recommend by a friend myself. 5 star training relaxed environment great service. Highly recommend this company! The course was very good. All staff were friendly. Many thanks to Aden for his professional training and advice! Thank you so much! Wayne was very professional and explained everything correctly, I reccommend J&D training to anyone who wants to learn how to drive various types of forklifts, very quick and professional process. 5Star happy customer!! I was instructed by a lad named dylan, he wasnt to pushy, he let you try everything without guidance, if needed he would intervene. He spoke clearly and broke everything down so it was more understandable, i would highly recommend using this company. They cover everything from lift truck operation to manual handling, all staff are approachable and well mannered. Took a four day course here this week and completed with ease due to the helpful staff. My trainers were Dyllon for my first two days and Aden for my last two, the lads were brilliant and really helped with any questions I had they and took the time to explain everything in detail, I would 100% recommend this company to anyone who is looking for cheap and effective training. Very pleased with the course! Definitely learnt something new! Wayne was very professional and a nice lad! Would recommend. Lovely people, easy to get along with the course is cheap but still brilliant teachers. Dyllon was our instructor for the 4 days, great instructor and very easy to get along with. 100% would recommend. Highly recommend this company! The course was very well done. All staff were approachable and friendly. Many thanks to Aden for his professional training and advice through out my time at J&D Training. Completed novice course with J&D. Instructors Wayne, Dyllon and Aden helped me a lot. My main language is Spanish and they helped me understand questions and helped me with how to word my answers. I will be booking more courses with this company and highly recommend the staff and prices are very good! I would recommend J&D Training very good courses and the staff are very helpful. If you are not sure just ask and it will be explained to you at your pace. Very helpful and friendly. Came here for a 4 day counter balance course at a very competitive rate. The training given here exceeded my expectations. I struggled at first but Warren was great in helping me to gain better skills in what I was lacking at. I would definitely recommend anyone to come here for training ! The training was very professional and the instructors were extremely friendly and helpful. I passed my course with ease with no previous experience on a Forklift. Highly recommended! Training was amazing, I've never use a forklift before and I feel like I have all the tools to do it now. Thank you for the patience, I'll make sure we have all training done here. I travelled from Skipton and was totally worth it. Nice and relaxed learning environment. Great instructors who have a vast knowledge of the business. Plenty of support if needed. Can also do on site training. Lots of different courses including First Aid, Counter Balance and Reach Flt driving to abrasive wheels.